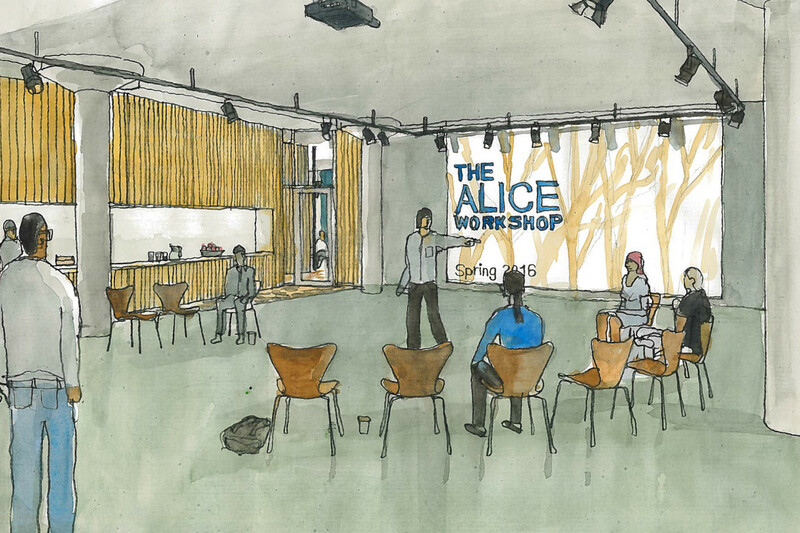 The Alice at Goodman Theatre adapts 10,000 sq. 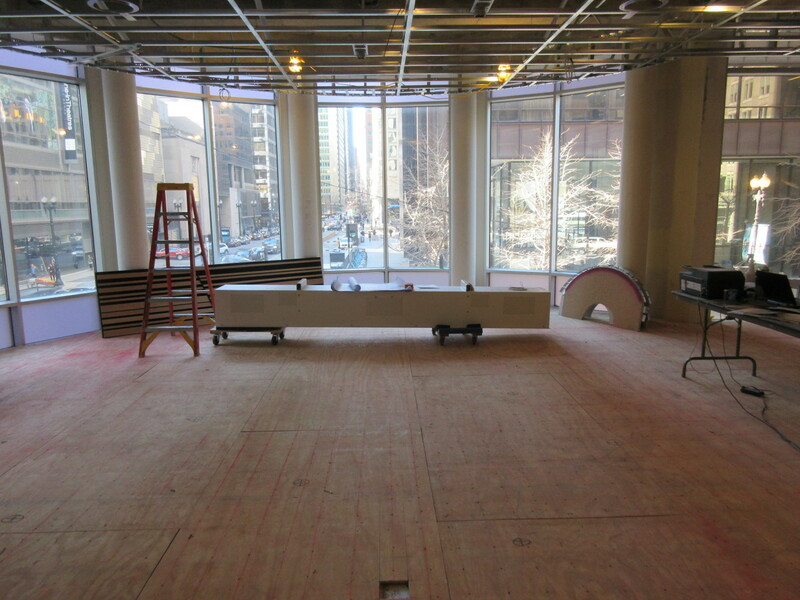 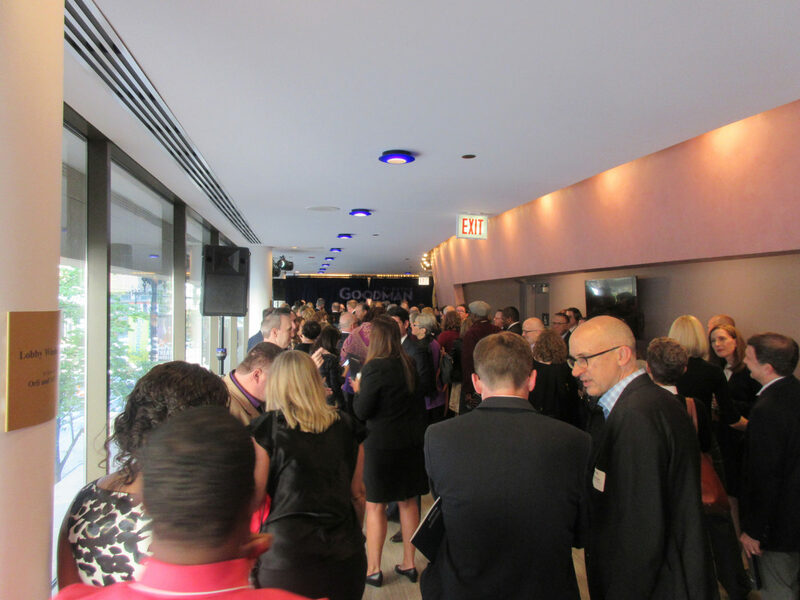 ft. of vacant interior office space into the first dedicated home for the Goodman Theatre’s education and community outreach programs, previously held in found spaces throughout the building. 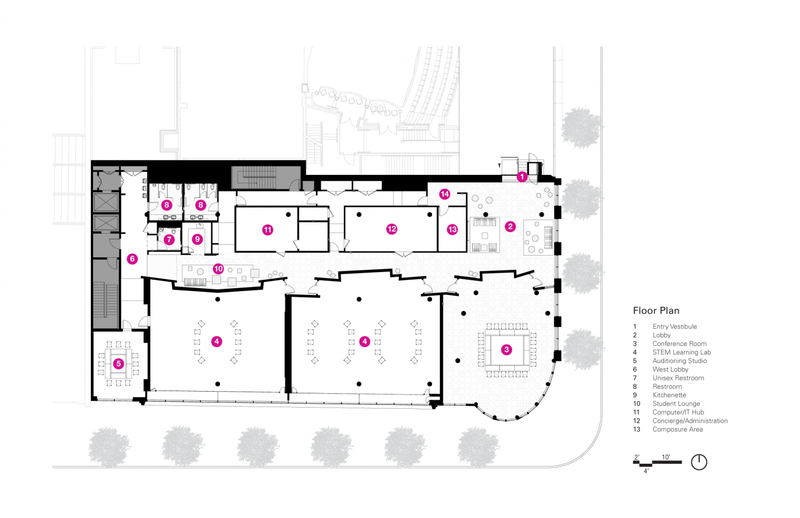 The project consists of two STEM learning labs, an auditioning studio, a reception and lobby space, support spaces, and a centralized video control space for the entire theatre facility. 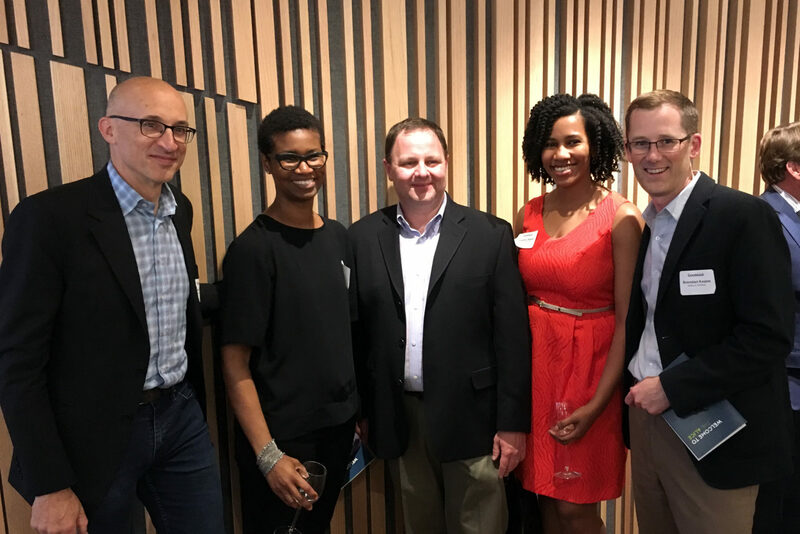 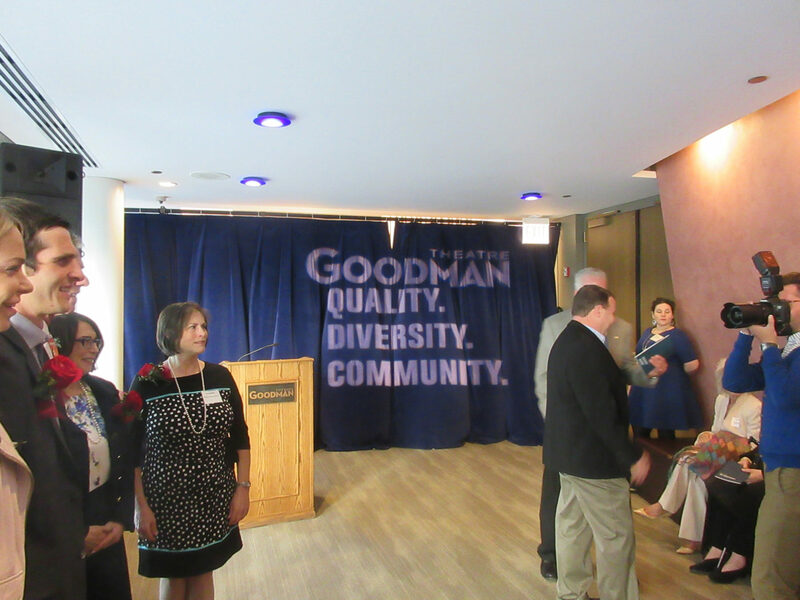 Goodman Theatre’s goal was to promote and expand their free public offerings in a welcoming environment where theatre is more than a play or a place, but an inclusive lens on the world that can engage and expand minds. 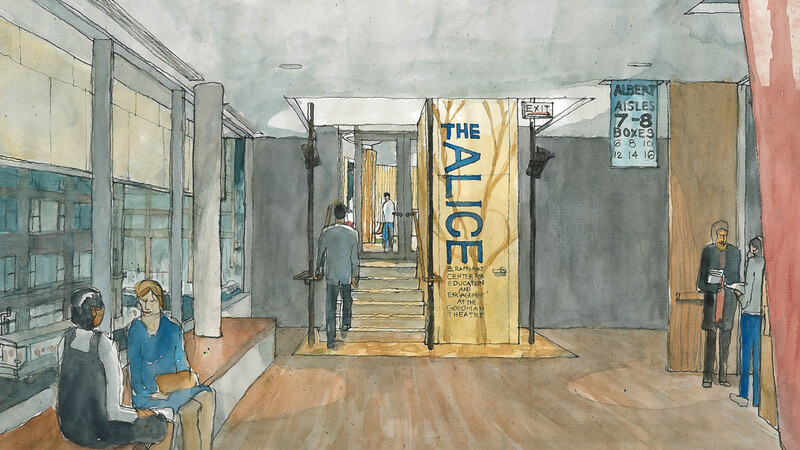 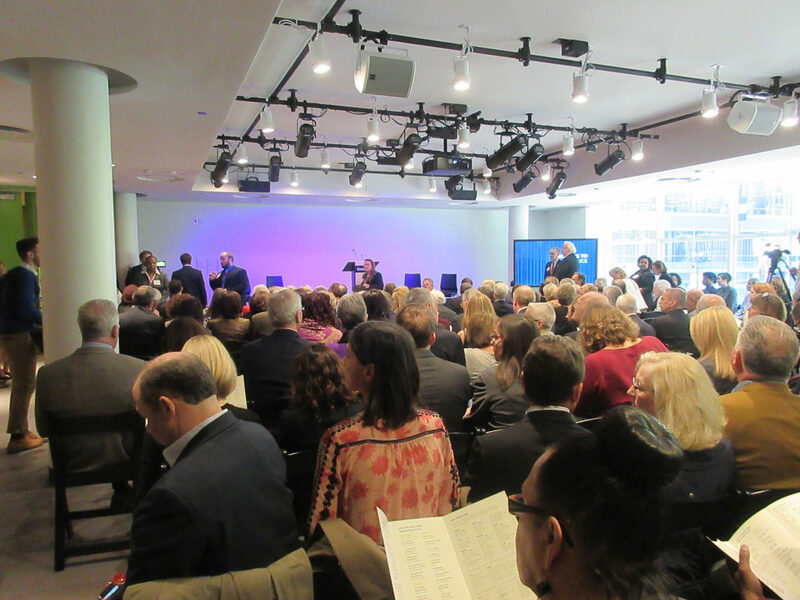 Dedicated and named in honor of Alice B. Rappoport, who championed the theatre’s outreach programs, the project required connecting two adjacent, separate buildings while achieving ADA accessibility and a 4-hour fire separation. 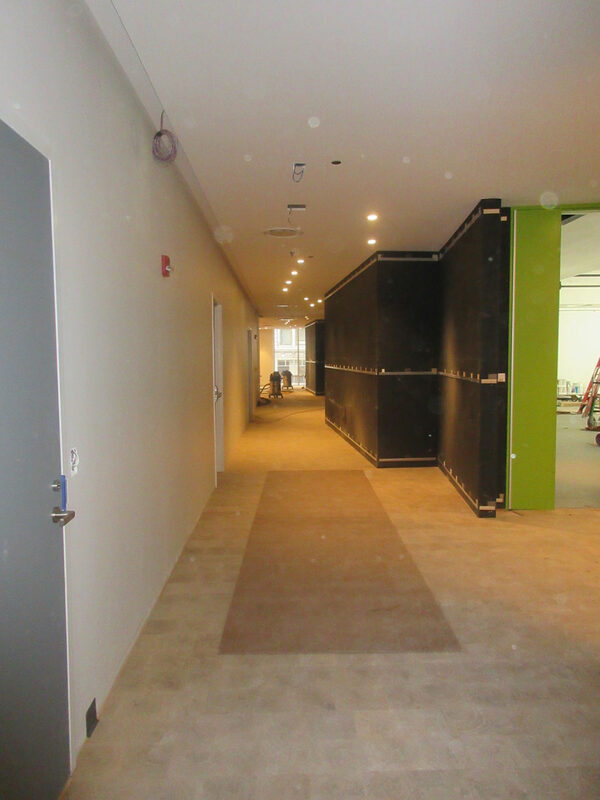 The new space also needed acoustical isolation from the floors above and below, the streets outside, and between rehearsal rooms. 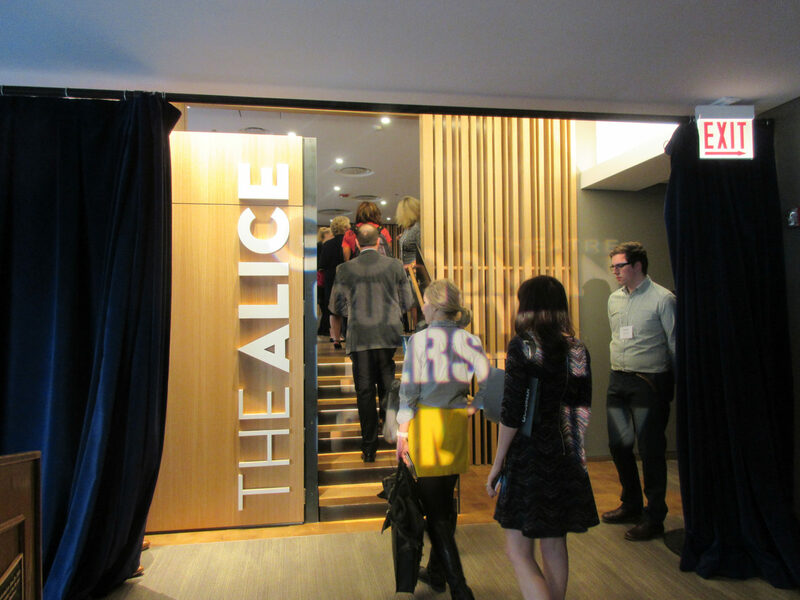 The design showcases the theatre’s arts-education mission to the community and supports artistic development by giving users license to explore. 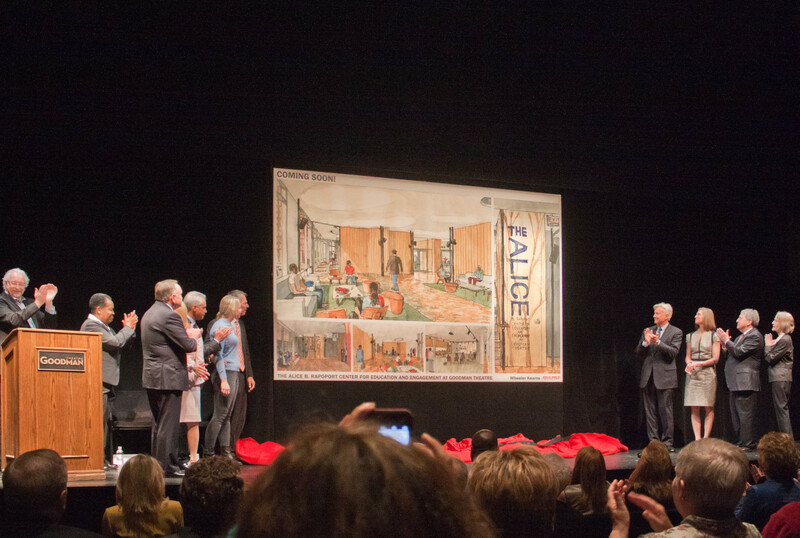 Alice Rappaport’s great love for nature and the outdoors inspired the rich, neutral palette that allows theatrical activity to color the spaces. 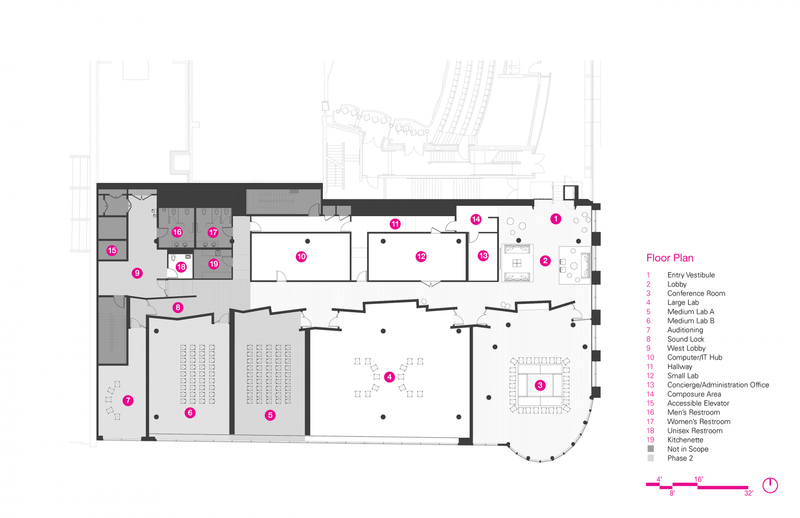 Rehearsal spaces activate the perimeter and are visible from the streets below, organized behind a meandering “acoustical curtain” of double-sided acoustical wood slats backed by an acoustical fabric and insulation. 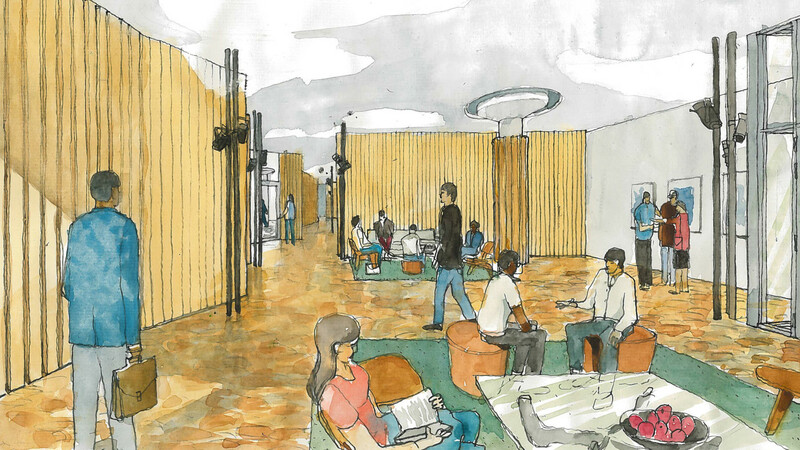 This wall defines the threshold between public and learning spaces, designed with moveable furniture, sophisticated audio, visual and lighting equipment that support the changing production needs for the various programs. 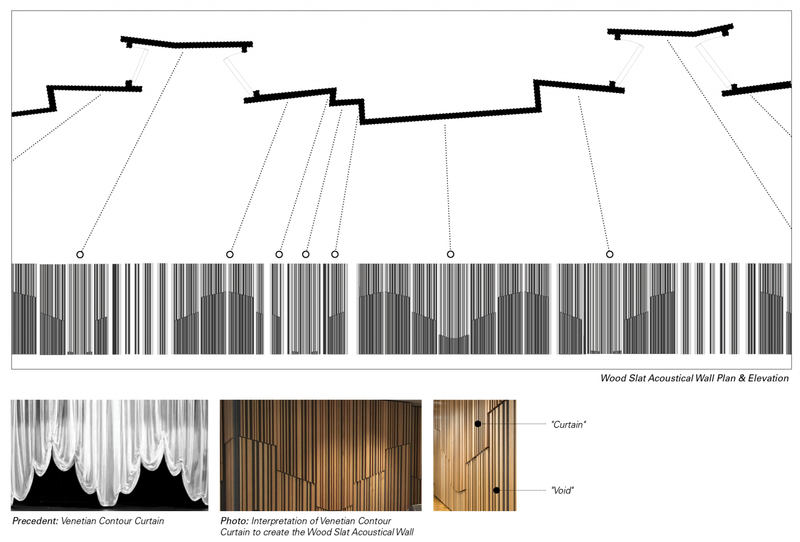 Entry into studio spaces occurs through the “parting of the curtains.” An acoustically absorptive ceiling has an organic arrangement of lighting and mechanical diffusers which reinforce the concept of being outdoors under a starry sky. 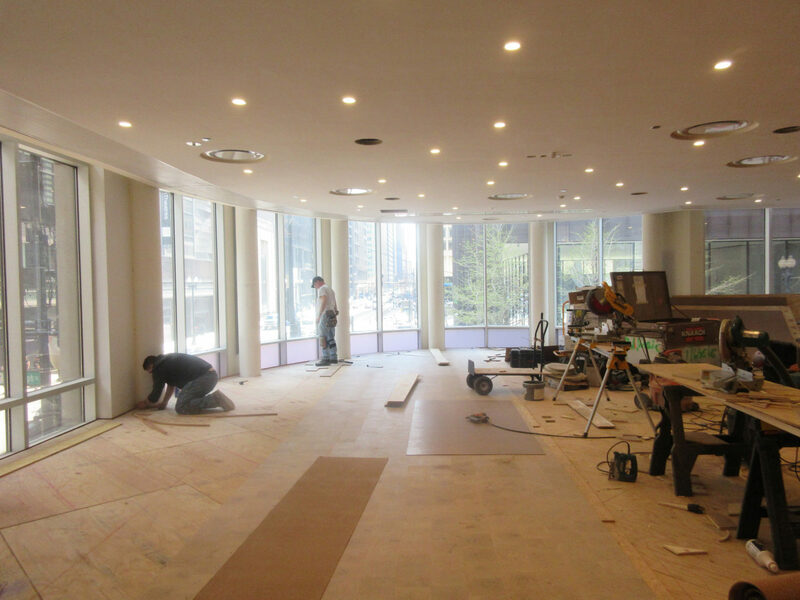 Concrete columns are left exposed and “punch” through the ceiling, revealed and highlighted by lighting from above. 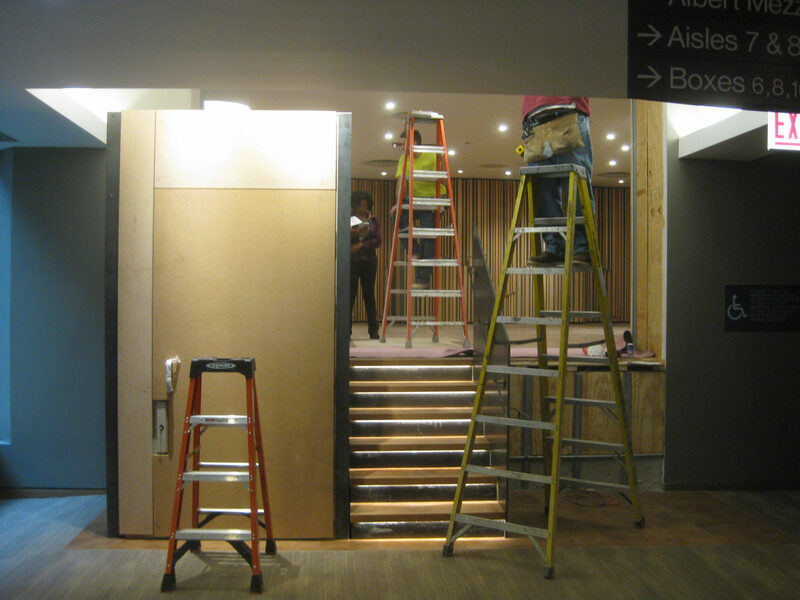 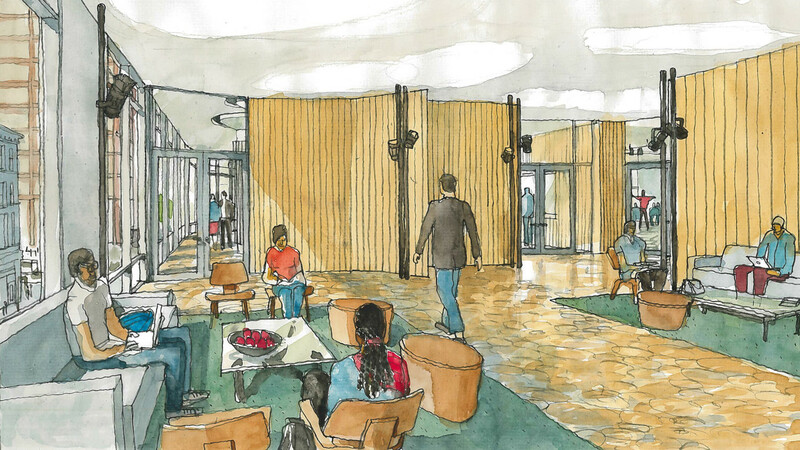 Students and visitors enter the space through a wood portal; a small staircase and a millwork-clad wheelchair lift are designed to bridge the five-foot difference in floor elevation between the existing theatre lobby and the new space. 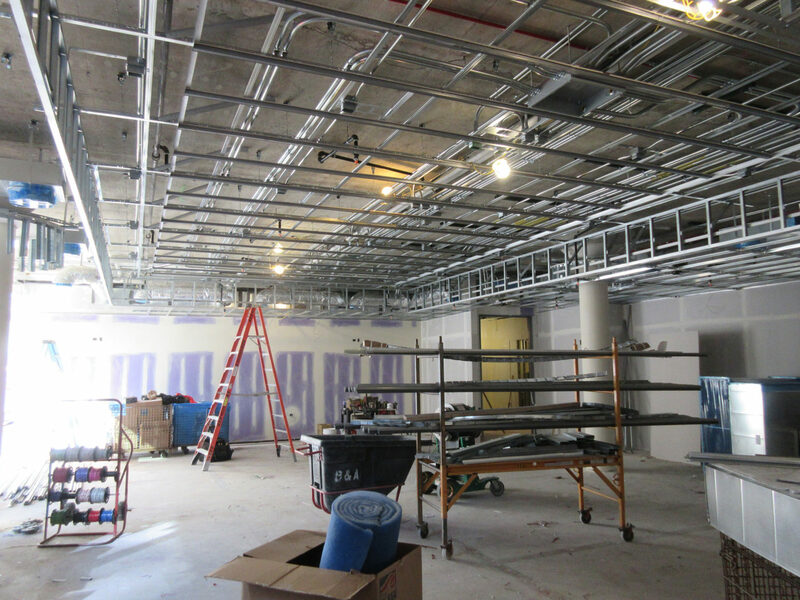 The floor and ceiling throughout the LEED CI certified facility is acoustically isolated from the structure with resilient pads and acoustical hangers which reduce noise transmission to occupants above and below.